A plane crash in southern Iran has killed all 66 people on board, Iran’s Aseman Airlines spokesman has told state TV. 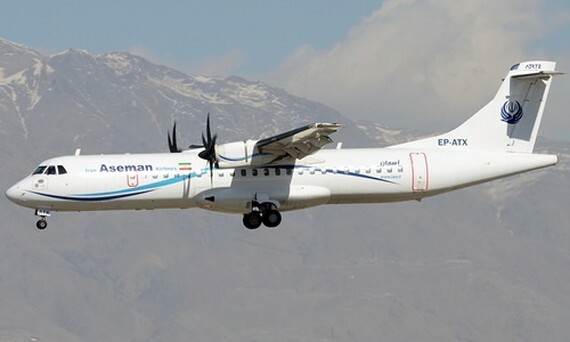 An Aseman Airlines ATR-72, a twin-engine turboprop used for short-distance regional flying, went down near its destination of the southern Iranian city of Yasuj, some 780km south of the Iranian capital, Tehran, according to the AP. Aseman spokesman Mohammad Taghi Tabatabai told state TV that all on the flight were killed — 60 passengers, including one child, and six crew members. Due to foggy condition, rescue helicopters couldn’t reach the crash site in the Zagros Mountains, state TV reported. Tabatabai said the plane crashed into Mount Dena, which is about 440m high. Aseman Airlines is a semi-private air carrier headquartered in Tehran that specialises in flights to remote airfields across the country. It also flies internationally.